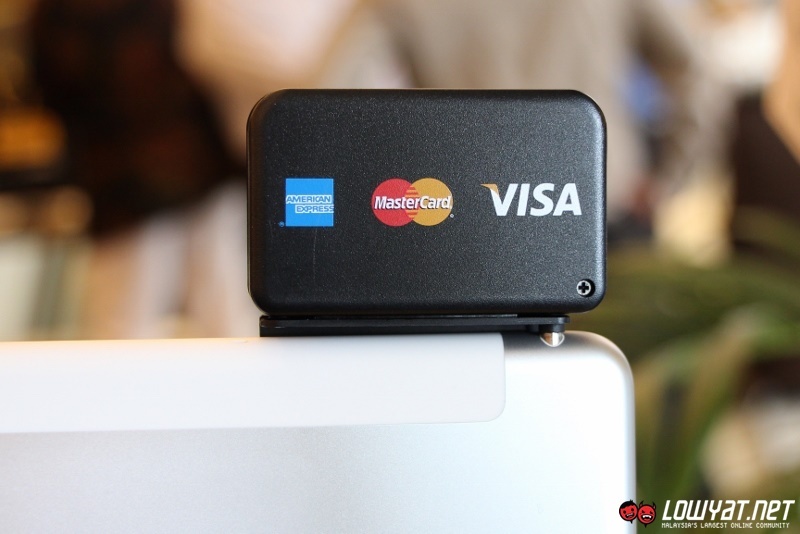 A traditional credit card reader is usually a wired device that is connected to a telephone cable which leave it restricted to cashier’s counter. 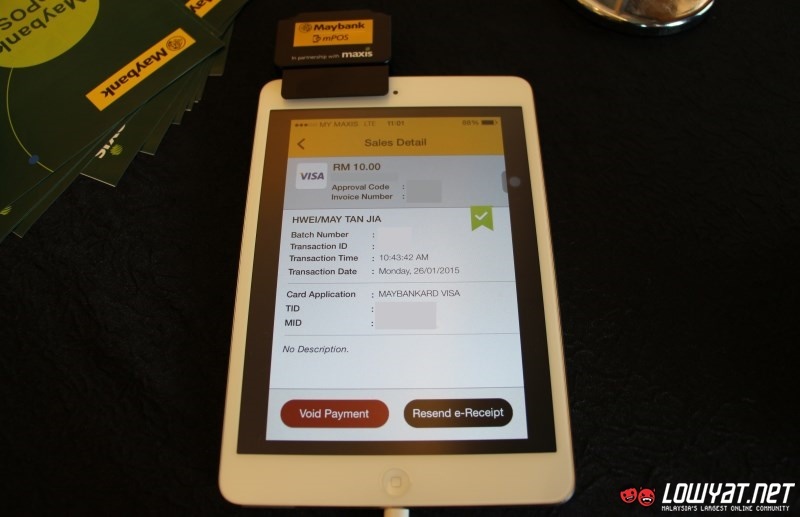 That is certainly not the case with the new Maybank mPOS portable payment system that is designed to be used with smartphones and tablets. 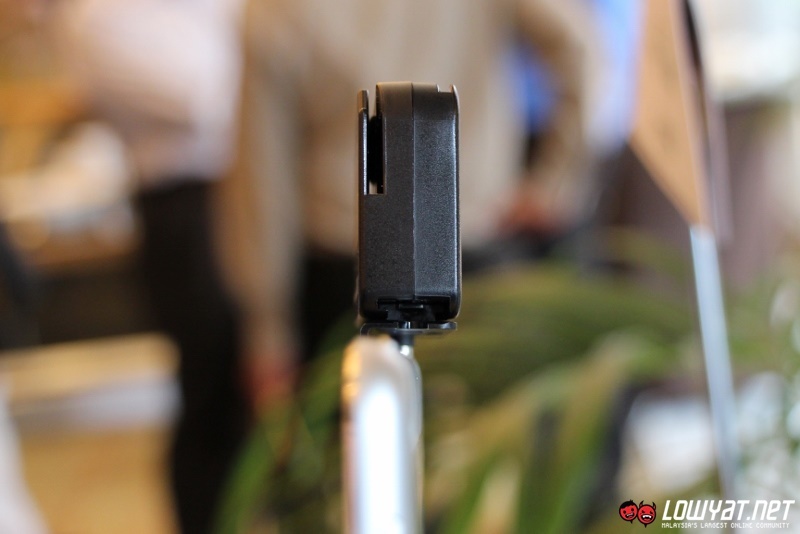 The system is mainly aimed at SMEs and small retailers due to its low-cost entry point but it is generally meant for any merchants out there that require a mobile card payment solution. 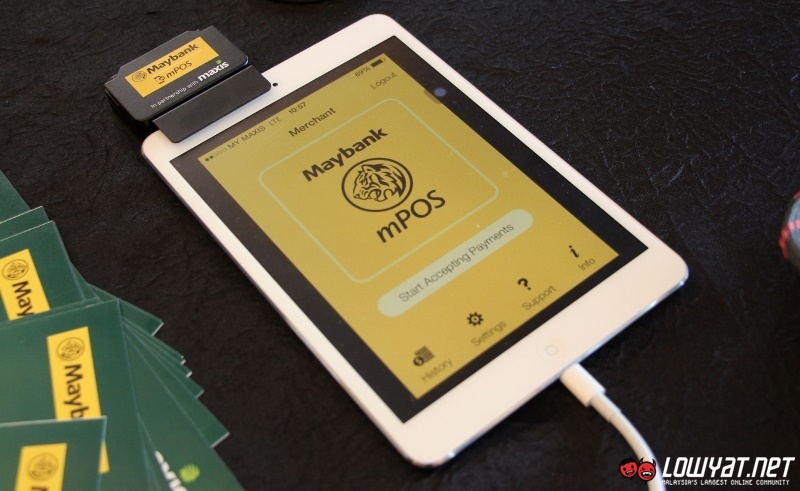 Launched earlier today, the bank has partnered with Maxis who has now include Maybank mPOS as part of its business solution. Supporting both Android and iOS, the Maybank mPOS portable payment system is generally simple to use: have the Maybank mPOS app ready inside the merchant’s smartphone or tablet and plug the Maybank mPOS card reader into the device’s 3.5mm TRRS audio port which will then initialize app, and ready to accept payments from their customers in no time. 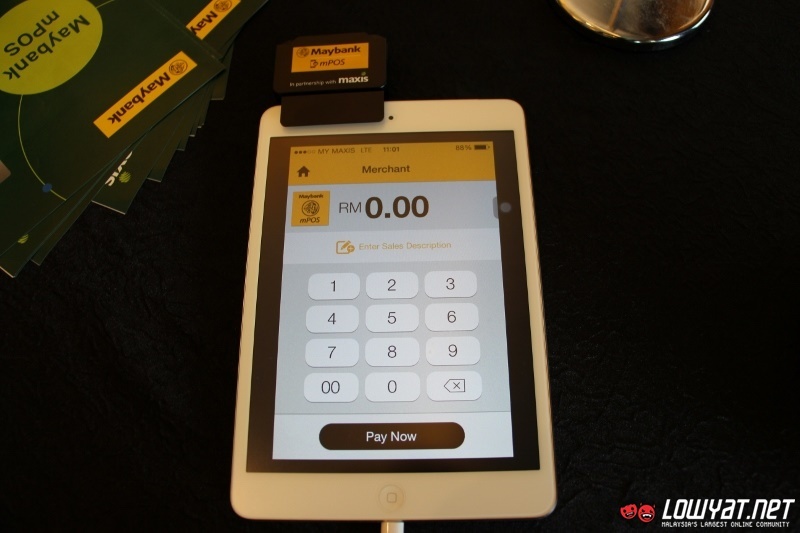 As simple as it might sounds though, merchants that are interested to use Maybank mPOS as part of their operation still need to apply for merchant account with Maybank. That being said, the application for the account can be done when merchants register for Maybank mPOS at Maxis which saves some of the hassle. 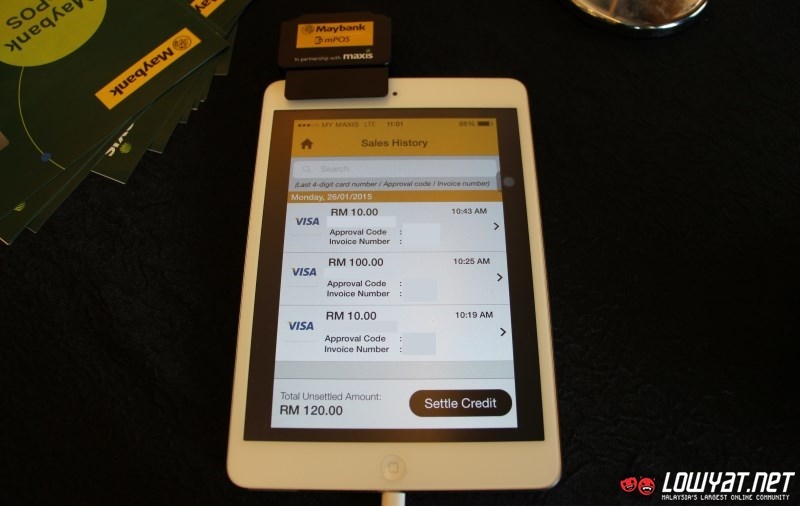 The Maybank mPOS is available on monthly subscription basis that is as low as RM 10 per month for MaxisONE customers as an add-on to their existing plan and without any upfront cost. 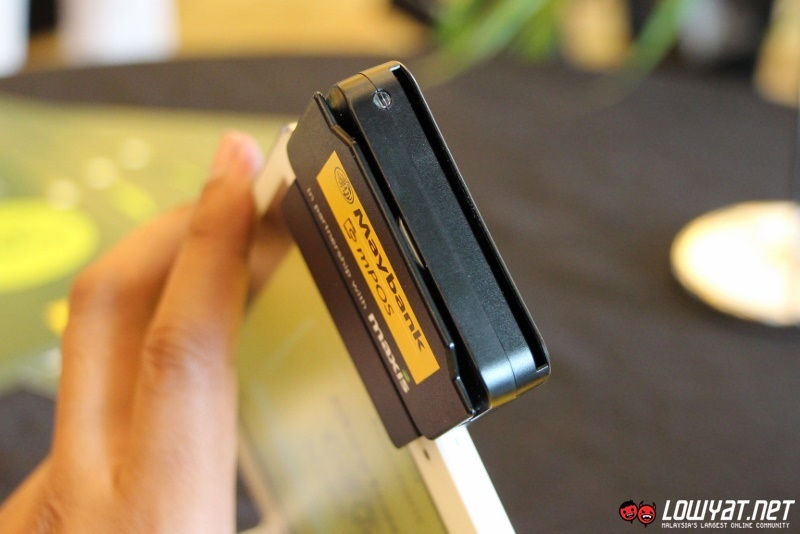 For merchants that prefer to use Maybank mPOS as a stand-alone solution, the monthly fee is RM 25 or RM 40 if they chose to have it together with a Sony Xperia E1. 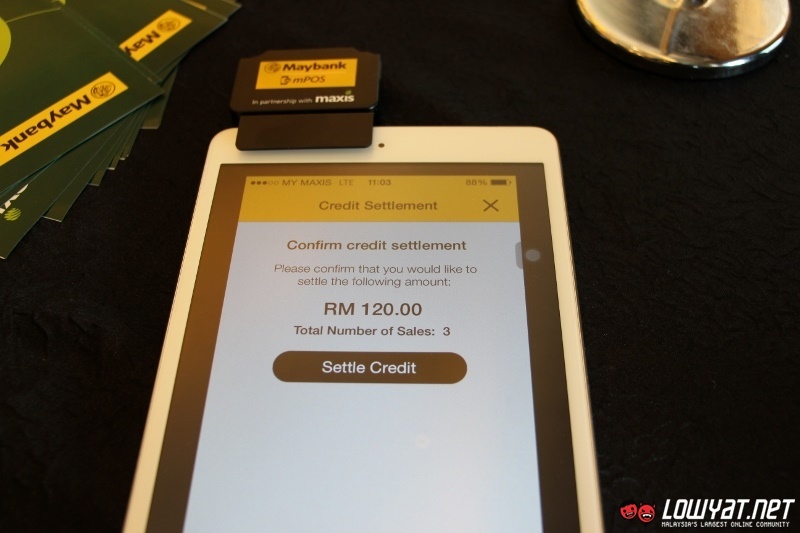 Meanwhile, the launch of Maybank mPOS also marked yet another success for Soft Space which is the Malaysian company that is responsible for the system. With today’s launch, Maybank has become the second Malaysian bank to use Soft Space’s solution after CIMB and the 13th bank to do so in South East Asia region. To learn more about Maybank mPOS, head on to maxis.com.my/mpos.